Things have been changing around here over the last few weeks, it's all very exciting stuff! 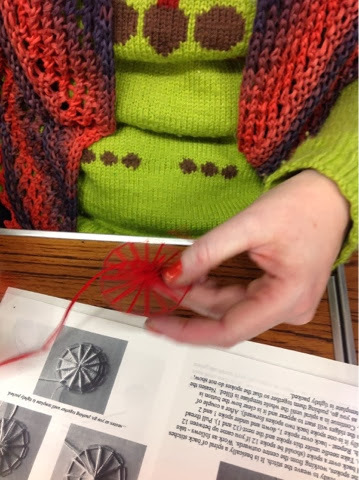 I've been concentrating more recently on my teaching and workshops, spinning is so popular at the moment and my time is taken up by that, so I've not been able to devote the time I need to on my website. As a result it is a poor little neglected space and so it's sock pulling up time. I've created a new blog - I'm off to fresh pastures where I'll be posting all that's going on at Lazykate and dates and events will be on there. Yesterday's workshop went without a hitch, the ladies and gentleman who came along were lovely as usual. 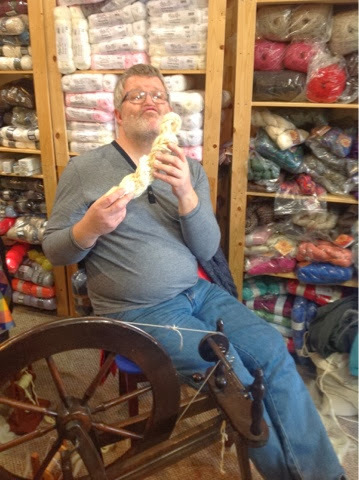 In all the workshops I've done, I can honestly said I've never had a person come who's been awkward, people who spin are generally lovely. I always learn something though and yesterday was no exception. Andrew and Carol came all the way over from York, quite a journey to Ormskirk, Andrew because he wanted to learn to spin and Carol because she loved learning new things. 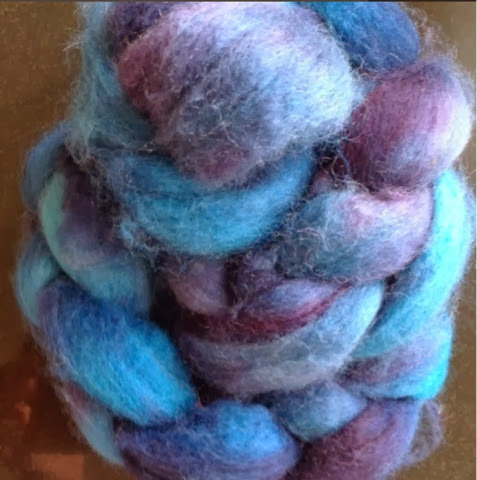 Andrew is an extreme knitter and was probably the only student I have ever had who wanted to spin thicker from the beginning, normally were all determined to spin thinner and thinner until spinning more thickly is a huge task. I kicked myself when I thought I should have checked if there was anything they wanted to learn and then I could have brought along a jumbo flyer! So I will be asking you, if you come along for a workshop if there's anything in particular you'd like to focus on and then I can teach you what you need. Always learning. Thanks also to Ann and Joy for coming along but who are shyer spinners and shun publicity. Quit right too ladies! 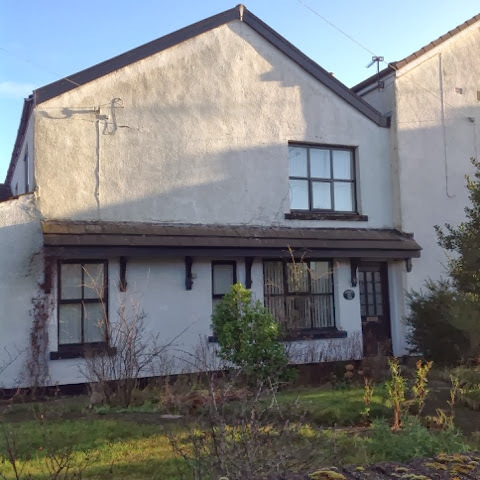 Well we moved house in the week of the 16th December, exactly a year since we last moved. We took a week to completely leave our house in Hilldale and transfer all our worldly goods to Ormskirk but we are now done. We're living in an old farmhouse that used to be a pig farm, it's full of quirks and oddities, just the kind of house we love. We're hoping to stay here for quite a few years - if I have to move again soon, I will just leave everything behind! 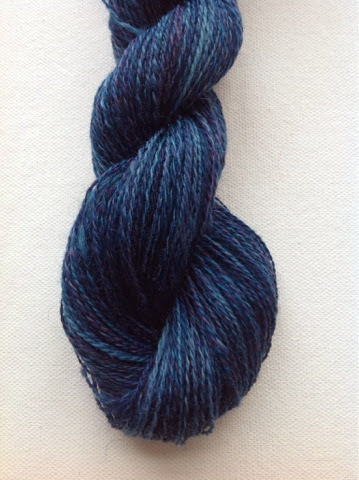 Alpaca is such a beautiful fibre to spin and as I was spinning to 4ply I didn't really need to think at all. 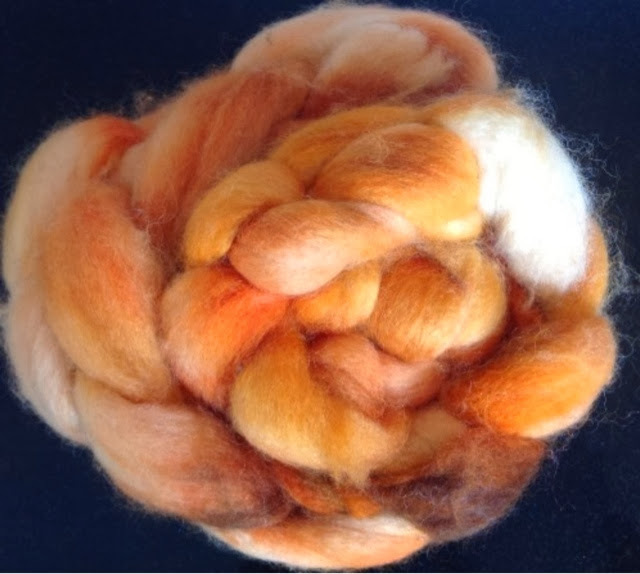 Sometimes mindless spinning is the best! I have to admit I might have gone a little bit awry during Sherlock but who wouldn't! 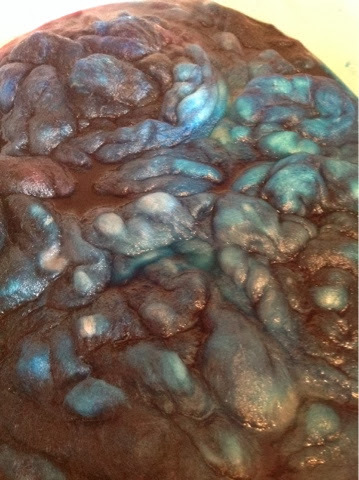 It better not be too difficult - I'm still in a brain of a jelly mould. Off to Wickerwool this afternoon to see how their move is going on! With getting ready to move house I was behind before we'd started today. 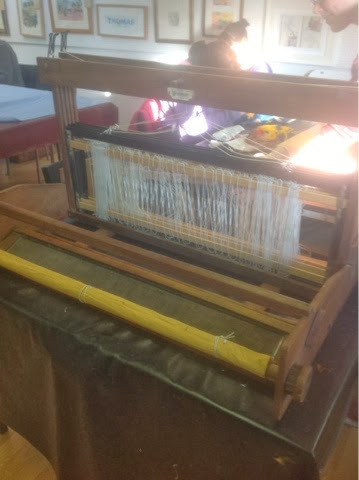 I was supposed to clean my new loom up so that we could get started first thing. 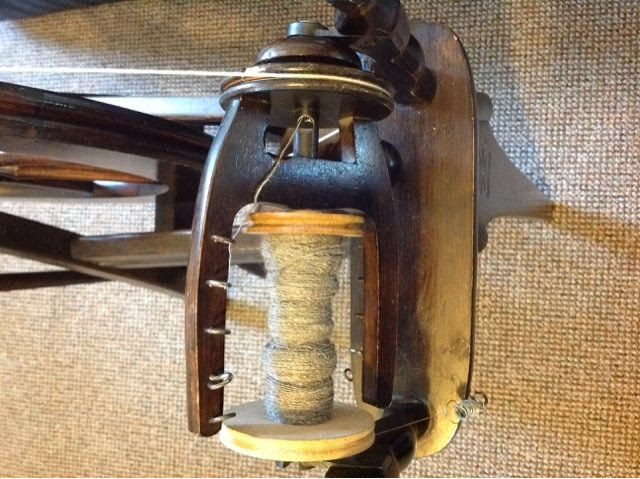 But the loom had stayed in the shed for the week while I'd packed and in the couple of hours free at night I'd spun yarn in preparation for all the weaving I was going to be doing. 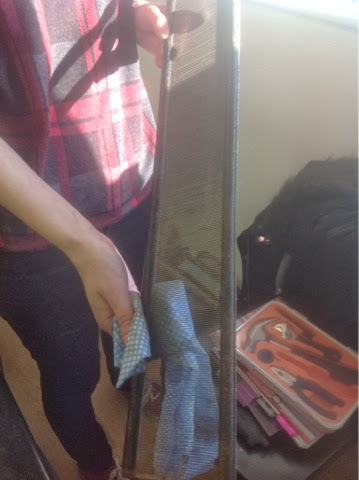 The loom was so filthy. Heather and I rubbed it down with wire wool, we wiped it over with a damp cloth (Heather did more work that I did). I really don't know where the time went but we seemed to be at it for hours. 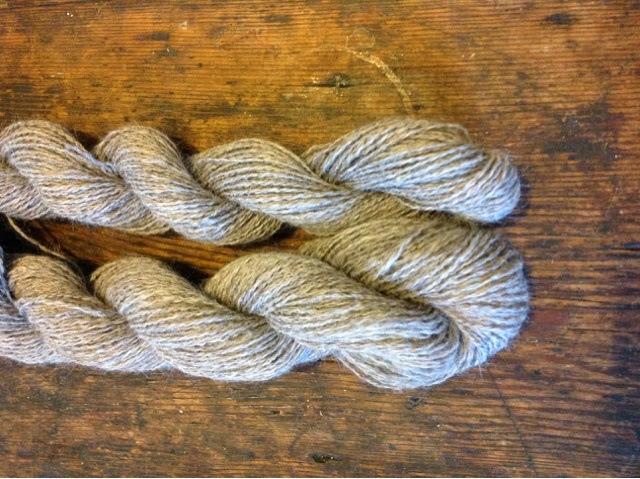 We decided to use up some cheap acrylic yarn first in our weaving just to make sure that we didn't dirty our precious handspun. 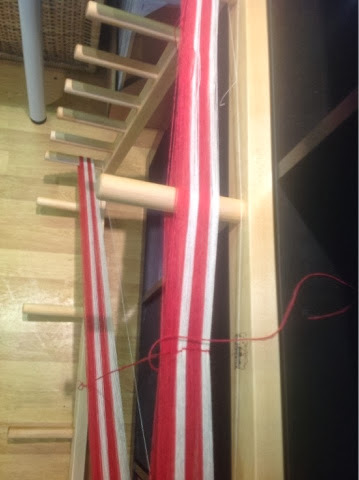 Heather showed me how to use the warping board. 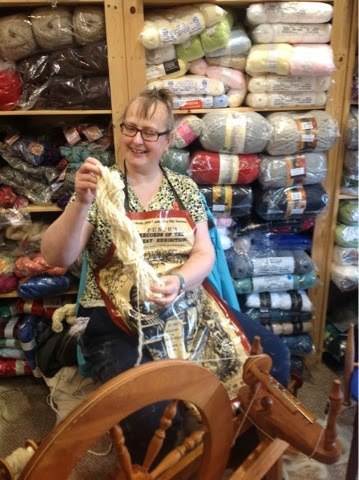 I'm so embarrassed to say that I couldn't wrap the wool under and over and count at the same time! I felt like such an imbecile. Finally, it did click, and to be honest it shouldn't be difficult for anyone, I don't know why I couldn't do it. So we knotted the thing to within an inch of its life, place it on the loom and immediately the threads all stuck together and tangled up. 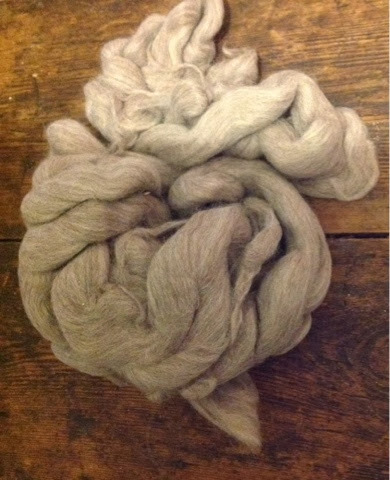 The yarn (which an old friend had kindly given me for free) was useless, all messed up and knotted. We gave up. We were tired dejected and the enthusiasm from the morning had disappeared, so we all went home. 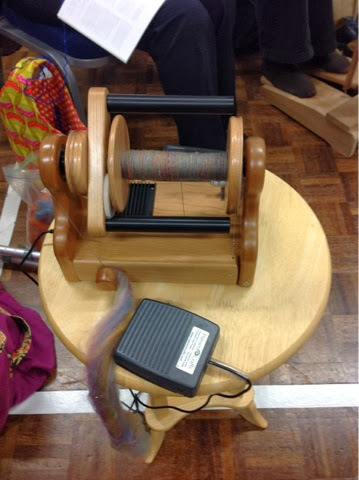 No image of loom tangled, threads cut and put into bin. 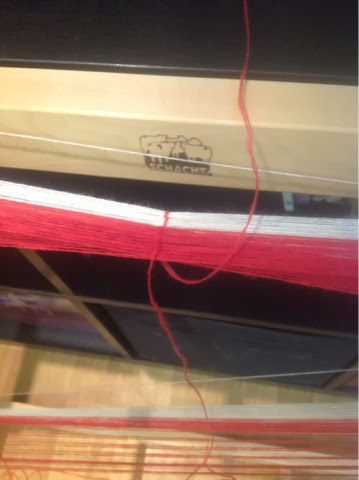 Lesson learned - check the yarn for your warp thread before you start. I can feel all you weavers shaking your heads and pursing your lips in my direction. I can even hear a tut or two. But I plan to make every mistake there is to make, I might even do them twice. I will go back and have another go, but just at the moment, I'm not speaking to it.